If you are growing standard tomato plants keep an eye out for side shoots this month. 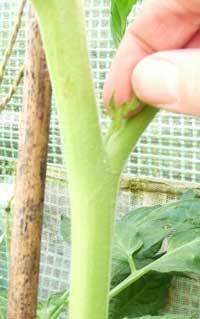 Side shoots will take nutrients from the main plant and will reduce your crop of tomatoes.Pinch them out when they are around an inch or so long. For everything you need to grow your own tomatoes – from grobags to tomato grow houses, click here.